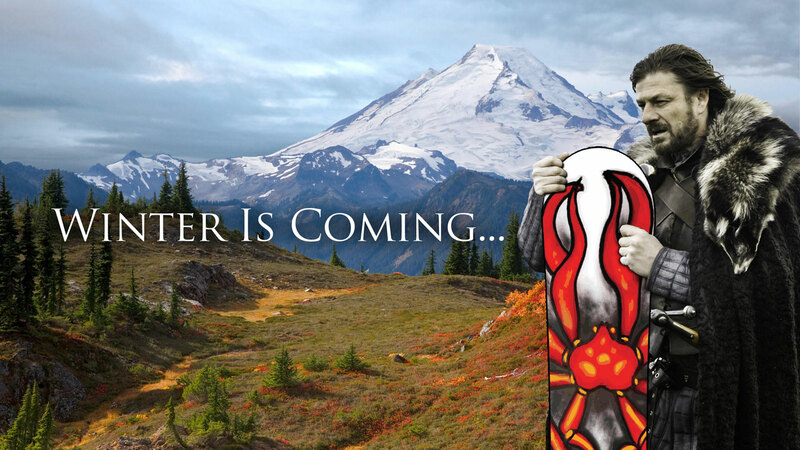 On October 17th I decided to quickly make a high resolution Photoshop based on the Game of Thrones meme “Winter is coming.” The original being 3399 x 1912, I shared it on Facebook. 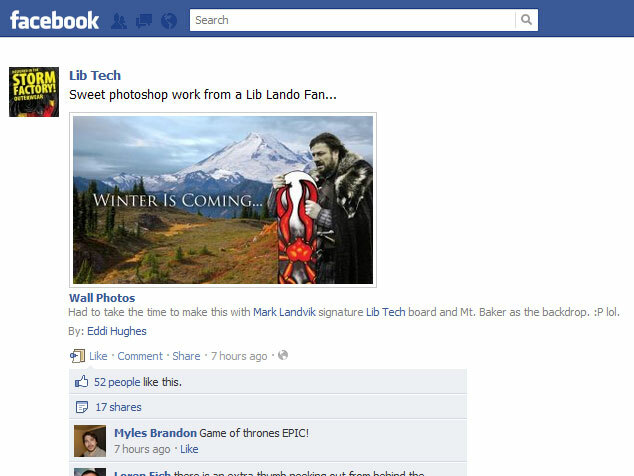 Lib Tech and Mark Landvik saw it and apparently liked what I made. The reshare got in front of many Lib Tech fans and I received a few inquires for a wallpaper sized version. Here are the links for the 1600 x 900 and 1920 x 1080 version of the original.